The SmartyDNS VPN app is now available on Amazon Fire TV! 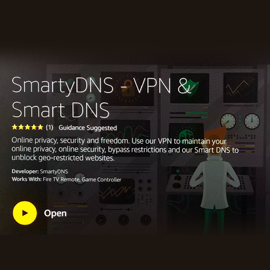 SmartyDNS VPN app now available on Fire TV! We are excited to let you know that we found another way of making your life easier! 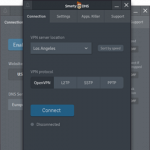 The SmartyDNS VPN app, which has already been appreciated by thousands of our users on other devices, is now also available in the Amazon App Store. We believe that the internet should be a completely free environment, with no restrictions or limitations. 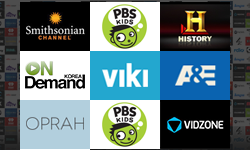 And we also believe that you should be able to watch your favorite shows, TV programs, movies or documentaries from wherever you are and on any device that you wish to use. Thanks to our amazing developers, you can now skip through the annoying process of manually setting up the Smart DNS on your Fire TV device. Now all you need to do is simply download the SmartyDNS Fire TV VPN app, install it, log in and forget all about the nasty geo-restrictions that you’re probably getting frustrated about a bit more often than you’d wish. 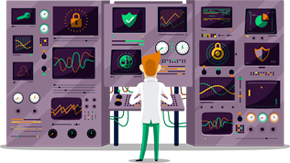 On top of this, you know you’ll stay safe while browsing or streaming content online from your Fire TV device, because our VPN app uses the same level of encryption for all devices and you can rest assured that your connection will stay private and your data secure. The SmartyDNS Fire TV VPN app will help you unblock a wide range of video and audio streaming services that are only available to residents in certain countries. With Smart DNS, you will be able to bypass geo-restrictions and enjoy your favorite shows from wherever you are. You will be happy to know that the SmartyDNS Fire TV app has the amazing features you’re already used to from the Android VPN app and you will enjoy the same user-friendly interface. 4 new websites and 6 applications unblocked!